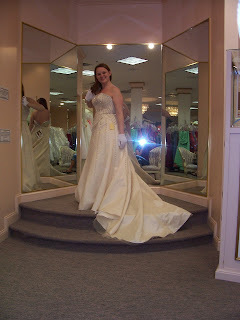 Since we got engaged in North Carolina, and my Maid on Honor lived in North Carolina, of course I was going to buy the dress in North Carolina. 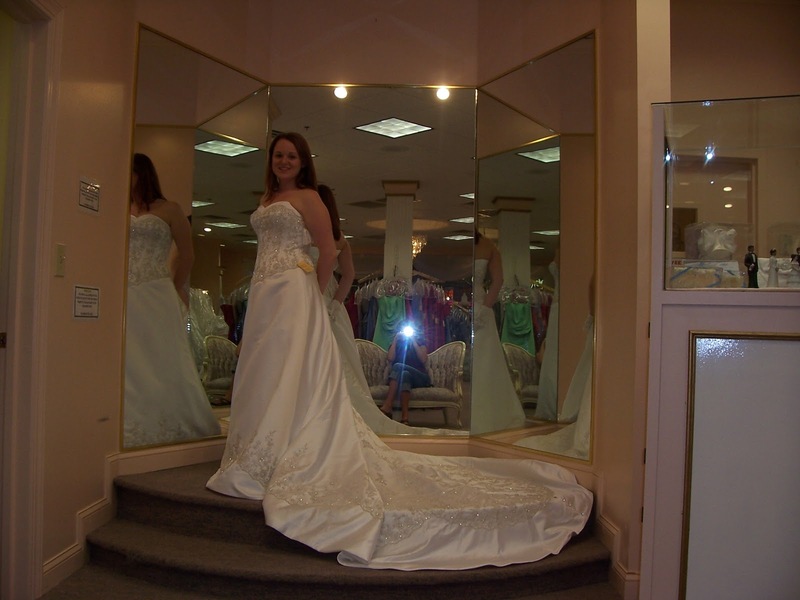 I wish I could remember where I bought the dress, because the boutique in NC was charming, and the lady who helped me instantly got me. I knew I wanted strapless, a medium train, and white. 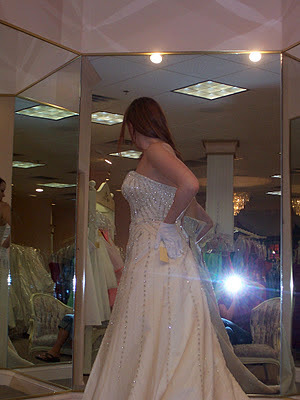 I wanted some settle glitz and glam, and a sweetheart top. I was so happy that Hannah could be with me on this special day. Forever Friends. 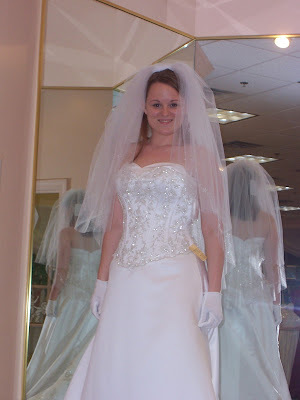 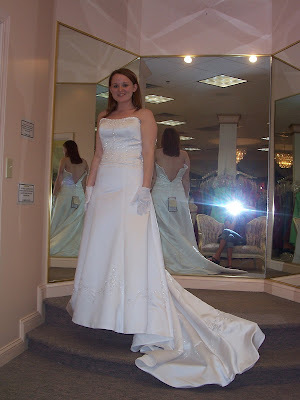 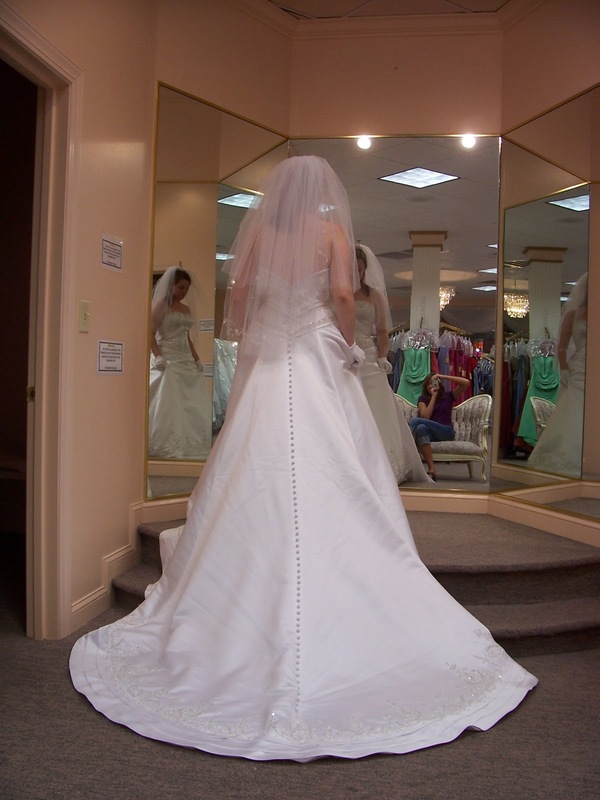 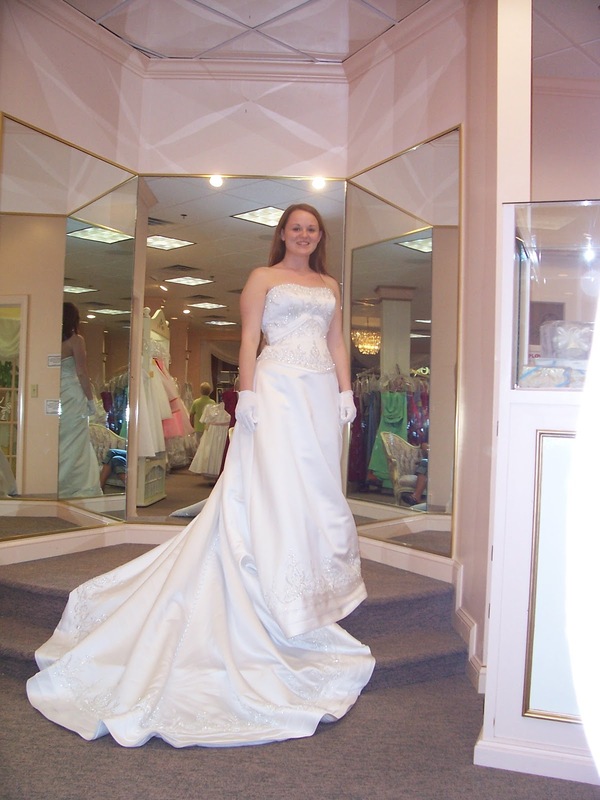 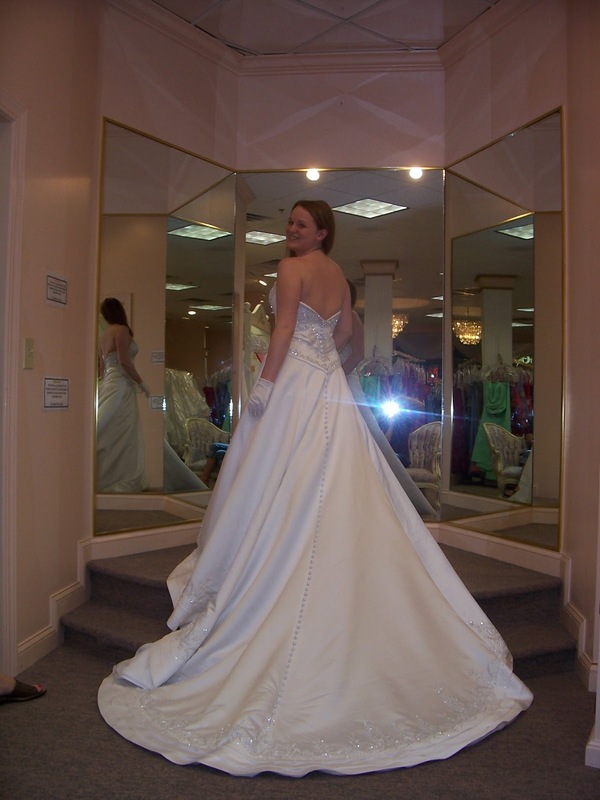 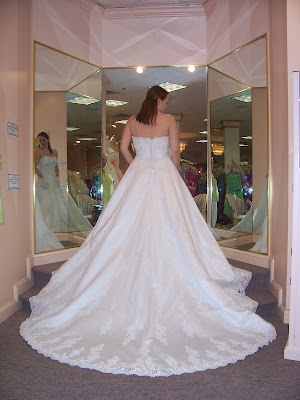 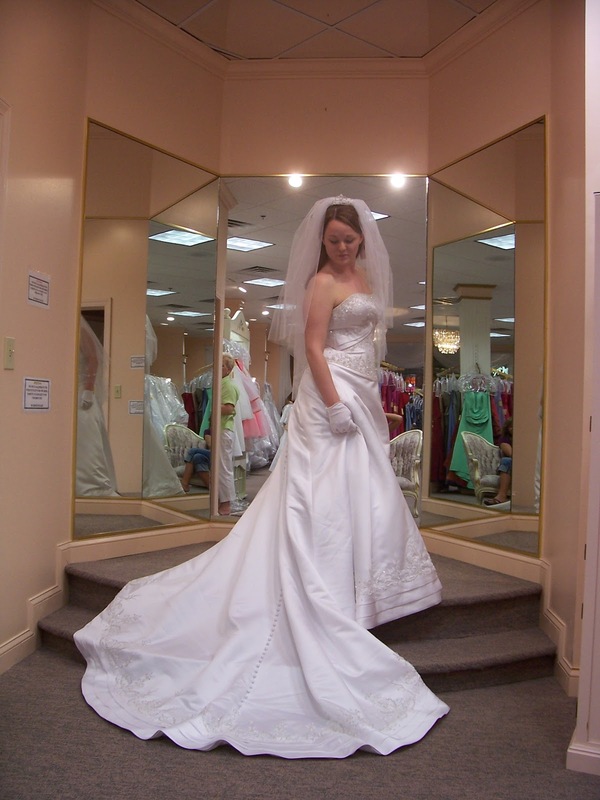 I didn't need to try on many outfits, I kind of knew from the first one that it would be the dress I wore in my wedding. I tried on several dresses, then went back to the first one. I gave myself some time to think about, and then I came back the next day, and tried it on again. 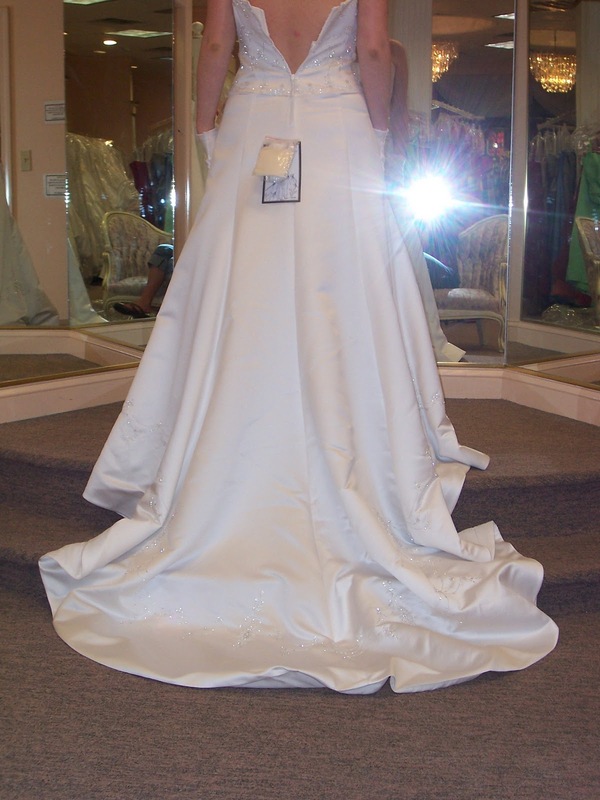 Once we made it back to Michigan, and I discussed a few things with my Dad, I called and had them ship it to me. 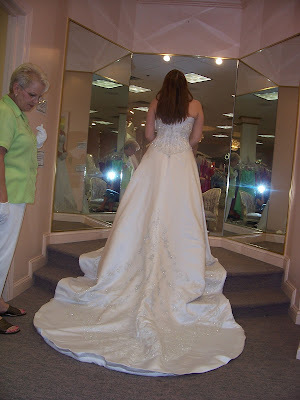 I could have bought the dress locally in Michigan, but I felt it was important to buy it from the people who showed it too me, even if I had to pay more for shipping. 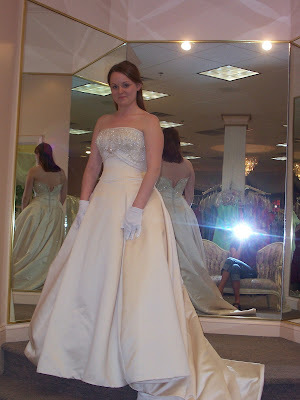 The coolest thing about the dress was it needed minor alterations. I felt blessed. 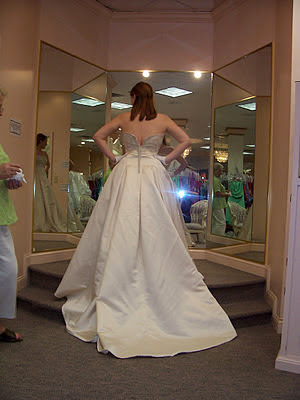 Eric had actually seen the dress before I wore it though, but he didn't know it. I showed him several of the photos above and made sure he didn't hate any of the dresses. I wanted to look like a perfect princess for him, and though he said he loved all the dresses, he loved the one I walked down the isle in the most. 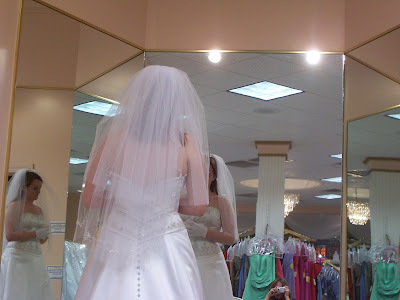 My veil was my gift to myself, I bought it at Davids Bridal (slightly over priced but well worth it). It had beautiful jewels and perfect layers. 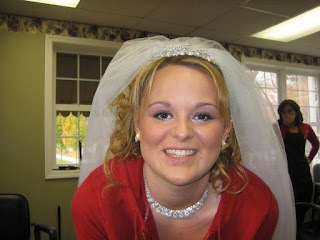 Photo above is from the hair salon. 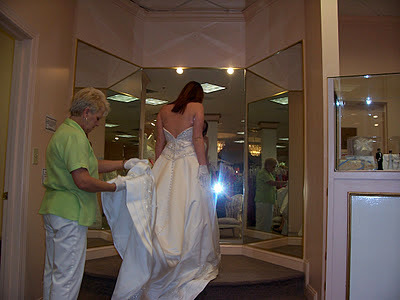 My flower girls mom was a saint and gifted us by doing all the up dos for free!